One of my new years resolutions last year was to take better care of my skin. Surprisingly, it's the only resolution that I made an attempt to fulfill. As much as I love trying out new products I don't love shelling out money left and right for things that will undoubtedly be banished under my bathroom sink. Also, I'm trying to live a healthier lifestyle. I've always tried to be "healthy" in some sort of fashion. Who wants to look like they're 60 when in reality, they're 40? I think spending time as a nurse in the ICU really enforced my desire to be healthy. It's sad to see young adults dying of preventable illness, yet at the same time it's incredibly inspiring to see elderly adults looking and feeling amazing. That got me thinking about how so many people "back home" have such gorgeous skin and live long lives. I decided to try some "home-remedies" that I grew up hearing my family talk about. You may have heard this before (if you're Arab I'm SURE you've heard this before!) And I can guarantee that 99% of you have it in your pantry right now. Yep, the "secret" to gorgeous skin is using olive oil. Growing up, olive oil was basically the cure-all antidote to any ache, pain, or problem. Got a backache? Warm up some olive oil and massage it onto your skin. Want gorgeous shiny hair? 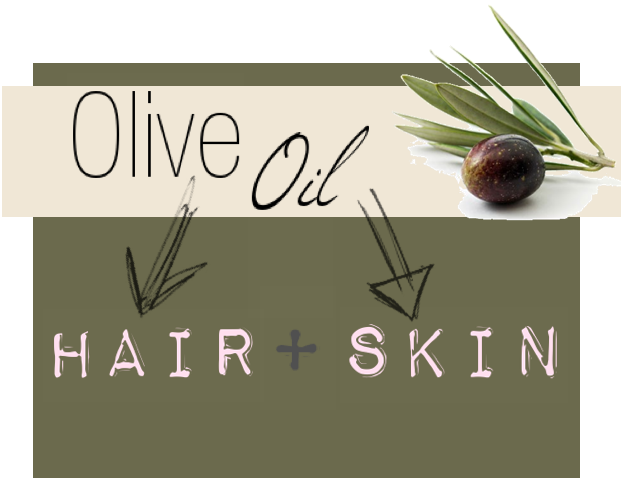 Massage olive oil into your hair and leave for a few hours or overnight. So now I'm sharing with you my tried and true, in-expensive "secret" to healthy skin and hair. After washing my face before bed I apply a small amount of olive oil to my face. I put just enough that it covers my whole face, yet dries by the time I get to my pillow. We're talking less than quarter size here. Also, after you shower use a little bit of olive oil instead of lotion..your skin will be SO smooth the next day. And last but not least, give your hair a hot oil treatment by massaging in a little bit of olive oil for a few hours. I usually do mine overnight so I can just shower it out in the morning. And here's another beauty tip for you. If you're like me you HATE having chapped lips, but in the winter it's so hard to avoid! 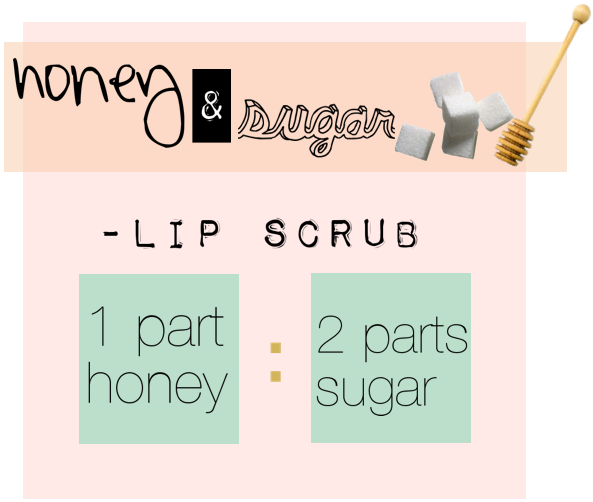 I usually make a small batch and keep it next to the sink to use before bed and before putting on my lipstick/make-up. It's great-not to mention, you don't have to worry about a bad taste getting into your mouth. Do you have any organic beauty tips? If so, I'd LOVE to hear them! And you're right, all around the world grannies and grand-aunts shared these knowledge and secrets through generations. interesting! i never thought to use OO for my skin! i've heard a lot about tea tree oil and have always wanted to try it. Do you know where I can get it from? Brilliant!!! I always rub olive oil on my cuticles but never thought about using it for my face or body! I always think it's going to leave too much residue, but you're so right on...just a dime-sized amount should suffice. Thanks for the tip!